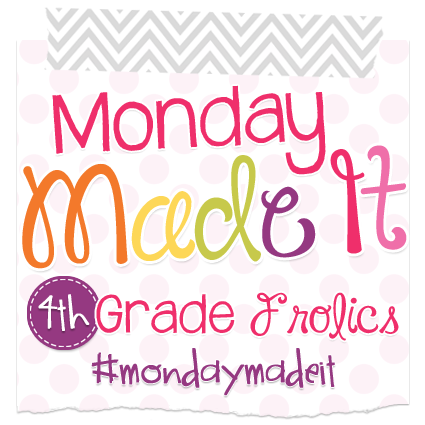 I am so happy to be linking up with 4th Grade Frolics for her Monday Made It linky! 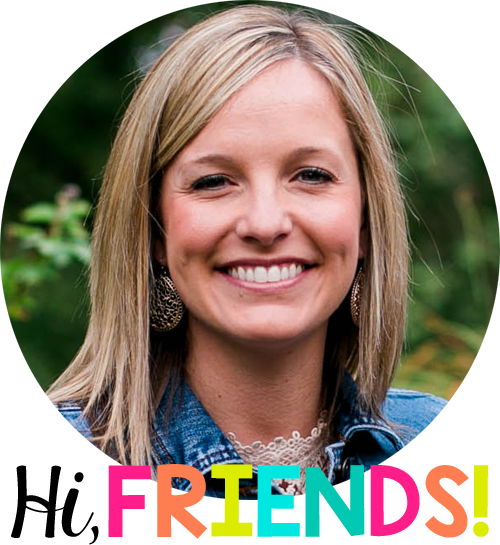 I have been pretty busy this summer, and excited to show you what I’ve been up to! 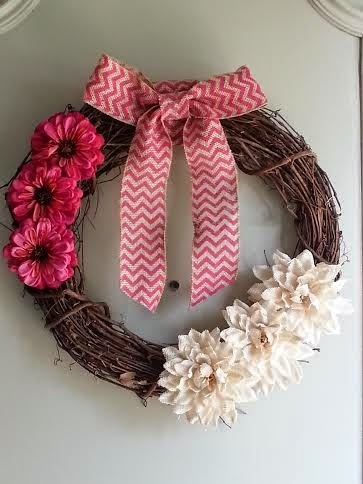 I absolutely LOVE cutesy wreaths on doors, and I’m always thinking I could totally do that! I like to be crafty but I don’t always make enough time for it. So needless to say, I’ve had a bare door for quite some time. NOT anymore!! TAADAA!! What do you think?! I did my best 🙂 I bought all of this at Hobby Lobby for less than $15. It took me about half an hour with my glue gun and a bow tying tutorial on youtube! I feel so accomplished! Next up, our kitchen. So…we have been renovating every room in our home. We are excited and anxious to get it all done so that we can move out of the city. The hubs and I are both from tiny, little farm towns and are eager to buy a house with a few acres. We have LOVED our time in the city, but we are country kids at heart. We are working on our kitchen right now. Our cabinets were this yucky brown color with mustard colored appliances. Don’t forget the orange and green wallpaper! Yikes! Our cabinets are officially all white which is super exciting, but wow has it been a process. We are both perfectionists so it took a little longer than we hoped for. BUT it was well worth it. 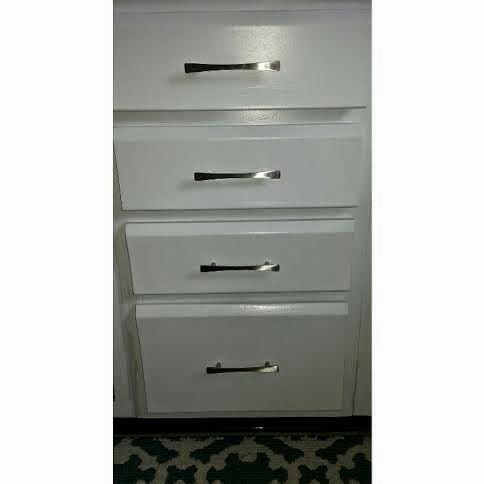 Here are the drawers we finished! Obviously, I had to put some sort of liner in those drawers! 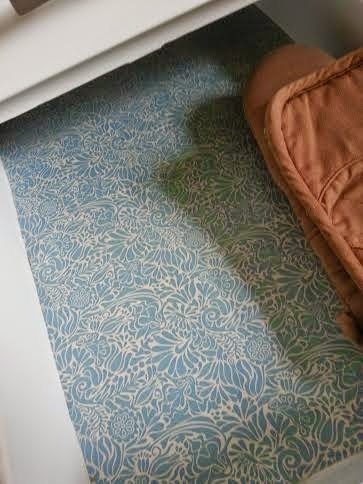 I decided to use a printed contact paper so that it would be a little more fun. I got it at Target, of course. I lined all of the cabinets and finished up the drawers this week. Now on to the school things I’ve been working on. 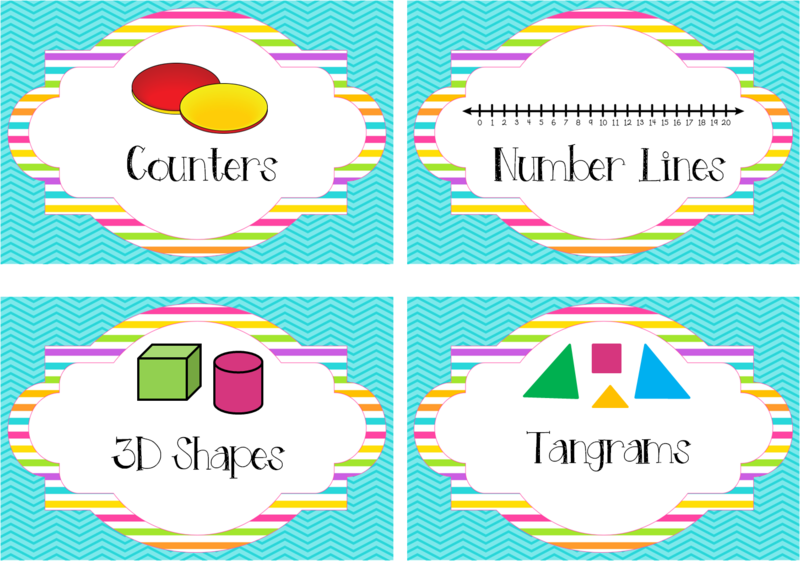 I love a bright, cheery classroom, and I wanted to create some products that reflected that. 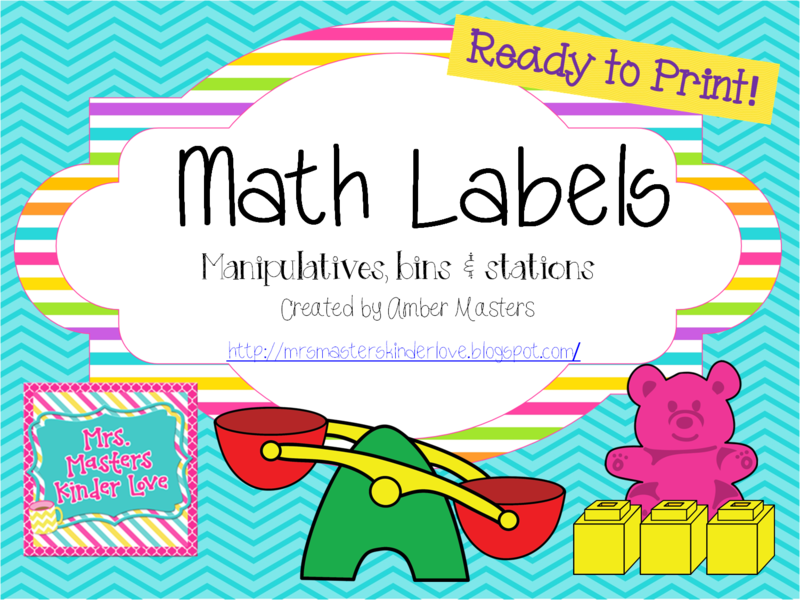 I need to reorganize my math manipulatives for next year, so I made these colorful labels. 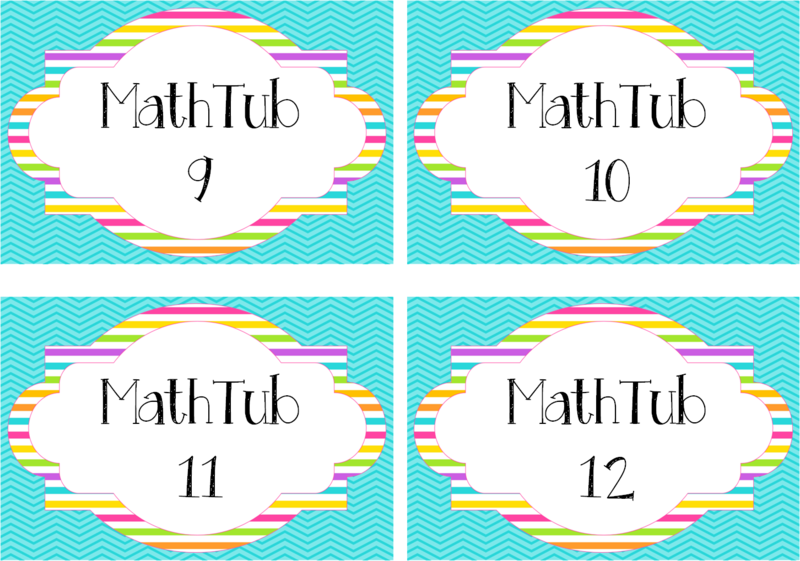 I also included station numbers and tub numbers to help you set up math stations. 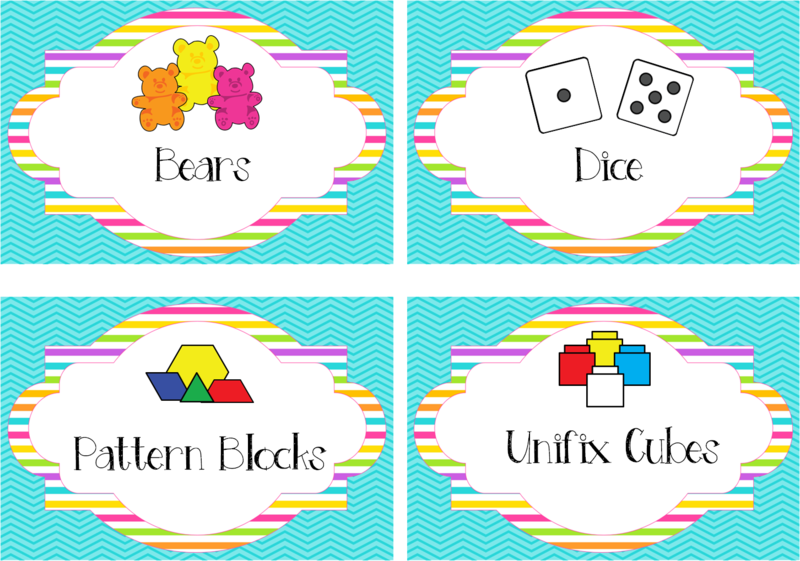 I started math stations in my classroom this past year and it was hands down my kids’ favorite time of the day. Plus, it gave me so much more time to differentiate in small groups. 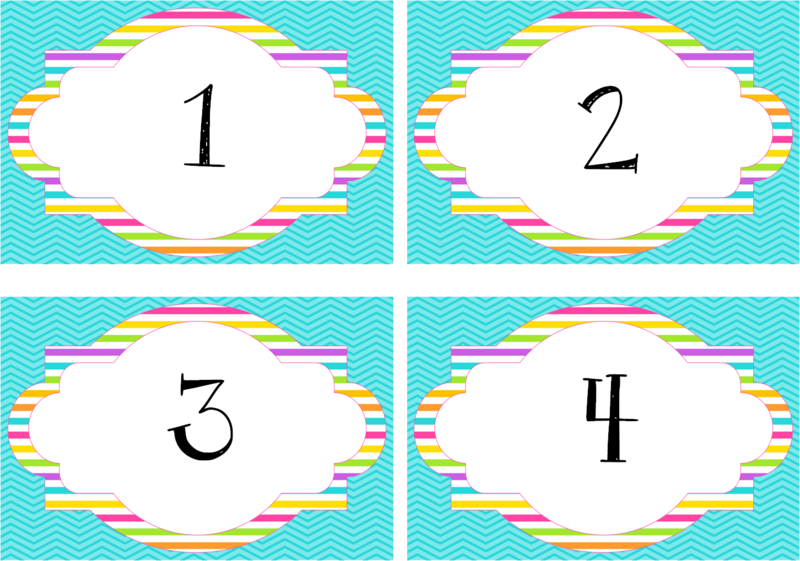 Click any of the pictures to go to my TPT store. 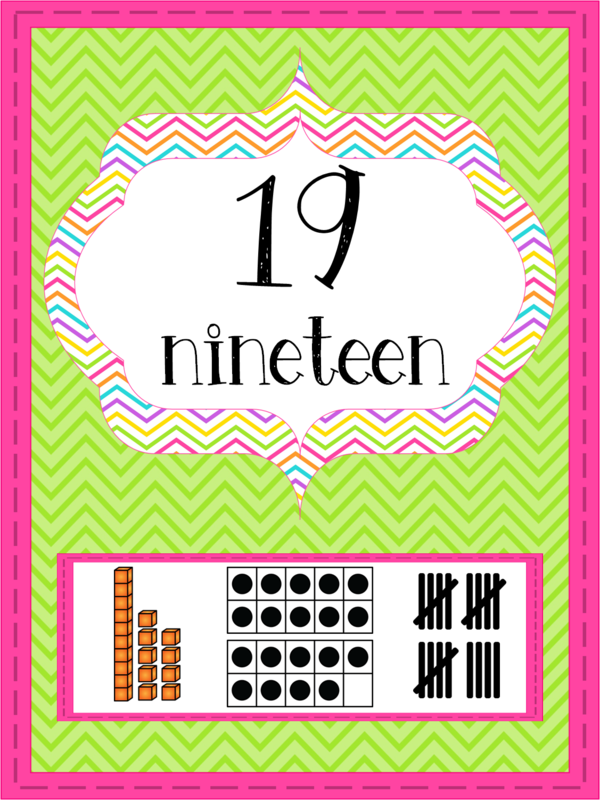 Lastly, I just finished my new number posters for my classroom today. I made two different colors and still can’t decide which I’m going to use in my room. 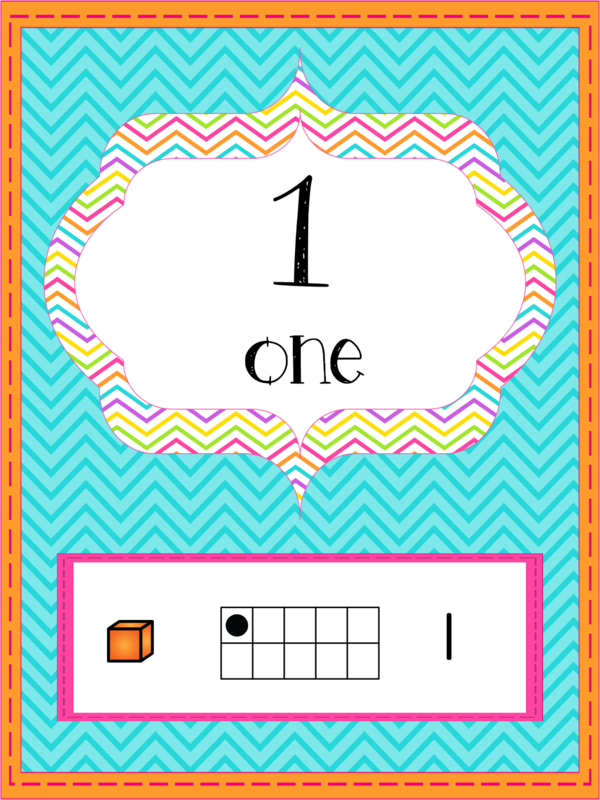 I wanted to create posters that had more than one representation of the number. 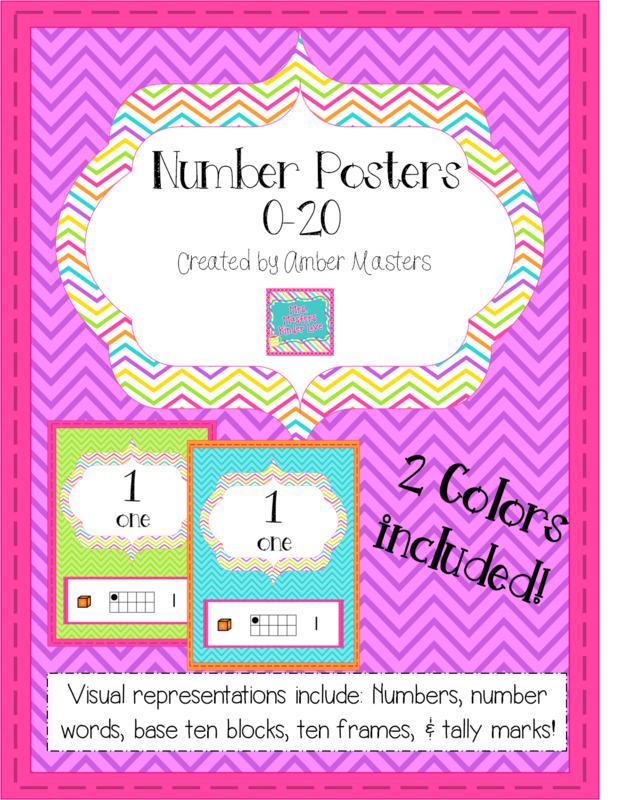 These posters include the number, number word, base ten blocks, ten frame and tally marks. Let me know what you think! Well it’s time to get back to the hubby! He wants to head over to Graeter’s for some ice cream. We live like 5 minutes from Graeter’s, not sure what we’re going to do when we move! I guess we’ll have to get it shipped?! « End of Year Gifts!